When nearly 200,000 people invade a crowded city like San Francisco, that might seem crazy any other week of the year. When it’s Dreamforce, all bets are off as salespeople, marketers, CEOs, and every techie imaginable come together to learn and connect…and celebrate all things Salesforce, naturally. As the new startup kid on the block, the RFPIO team was excited to attend—and ready for almost anything. 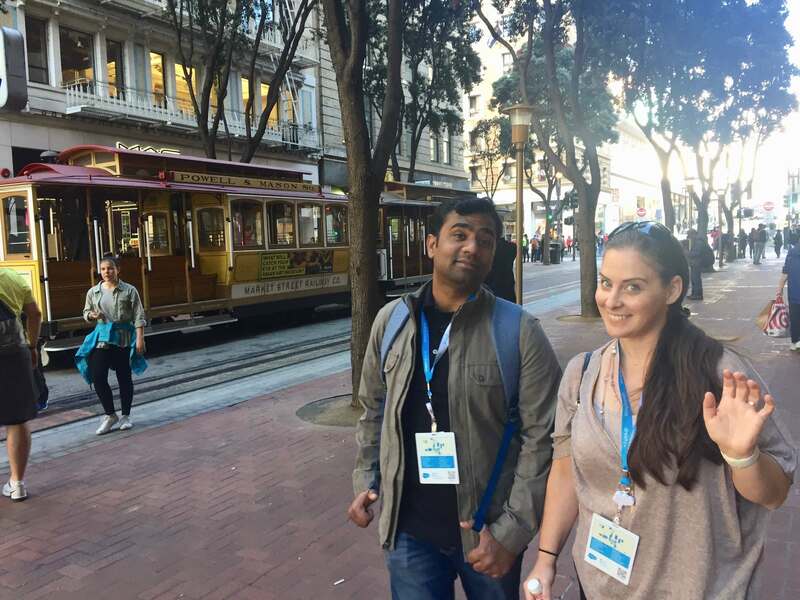 Ganesh and Britt were having their first Dreamforce adventure, while Angela was on her fifth. Even with their different levels of conference “black belts,” the team spent the week soaking in unbeatable inspiration from one of the biggest sales conferences of the year. Now that the team is back in the swing of things, we thought we would share a few takeaways for those who didn’t get a chance to attend this year’s conference—or those of you who went and had an entirely different experience. 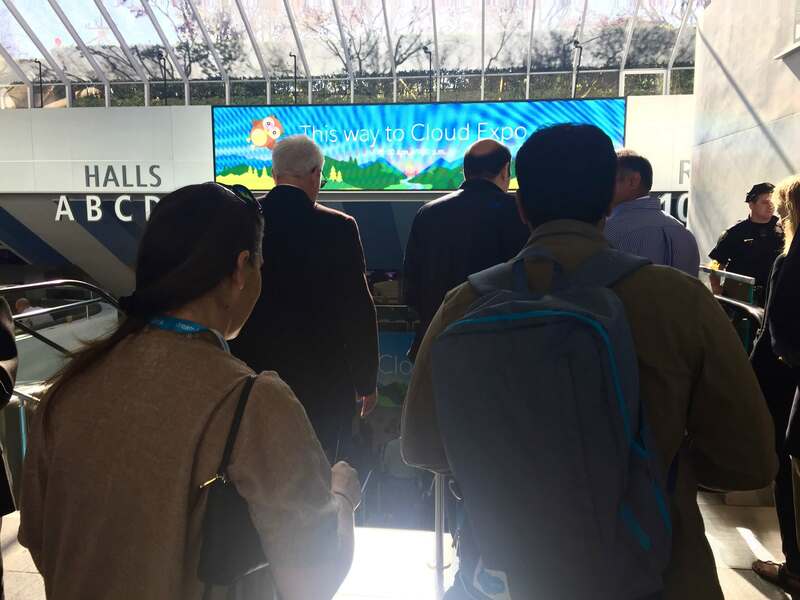 So, what do we think ruled Dreamforce 2016? Relationships, technology, and data. 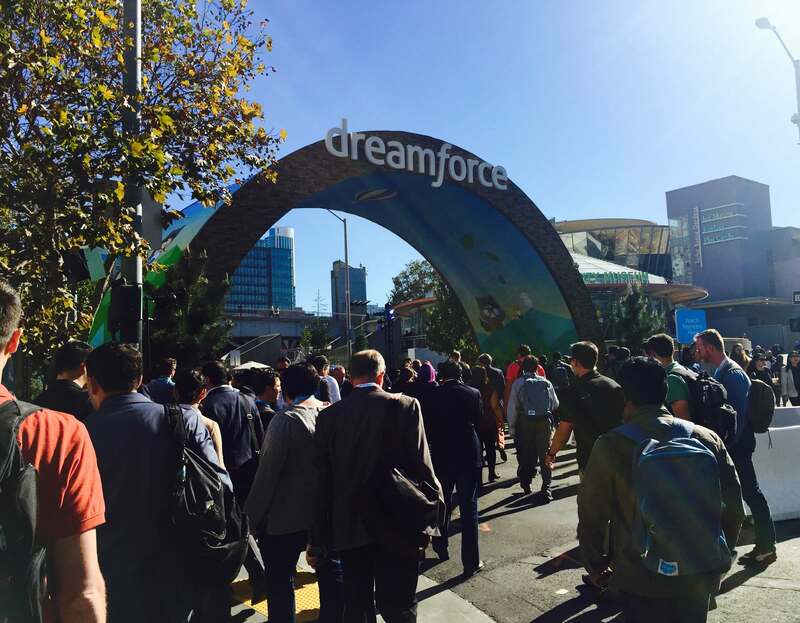 What was your first impression of Dreamforce? Will you be back in 2017? My first Dreamforce certainly isn’t going to be my last—it was quite a party from the daytime sessions to the nighttime events. Now that we are Salesforce partners, I am convinced that RFPIO should have a dedicated booth next year. So, yes…I will definitely be back to explore more great sessions and the latest technology Salesforce has to offer. You had several meetings with prospects. Can you share the importance of personal connections at Dreamforce? As most sales occur virtually, Dreamforce is the perfect opportunity to meet prospects face-to-face and get to know them on a more personal level. 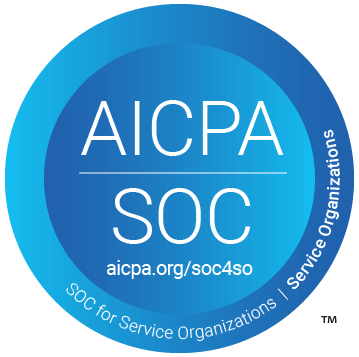 It also gives the prospect an opportunity to know more about you and your company, which opens up conversations about how our tool integrates with Salesforce. The wonderful thing about Dreamforce is that everyone is connected to Salesforce in some way. Making time at the conference for meetings is key to future opportunities. If every conversation happens remotely, you risk lacking a real connection with your prospects that has the power to deepen the relationship. Why did this session stand out to you? This session was actually a last-minute addition for me and I was stunned by how jam-packed it was with solid insight. The Q&A led by Capterra’s Director of Marketing, Katie Hollar, was seamless, and both Scott Brinker and Travis Wright peppered plenty of humor throughout to top off a memorable discussion. Frankly, it was the one session I went to where everyone was truly engaged—which is no easy feat with an audience of easily distracted marketers. It’s safe to say I wasn’t the only one in the room who didn’t want this session to end. Beyond marketing technology, Scott and Travis provided learnings that can be applied to any solution purchase. They really stressed the importance of what technology means for individual companies—and how to get the right team and stack in place. Technology Investment: Use the 90/10 rule. 90% should be spent on teaching your team to understand and maximize the tool. The money invested in the software should be the smallest part of the ratio. People Investment: Wright warned there can be a deficit in your organization if someone is holding the keys to your castle. Employees will not stay at your company forever, so it’s smart to train multiple people on the tool. What really stood out about the Radius session was how direct and valuable it was. 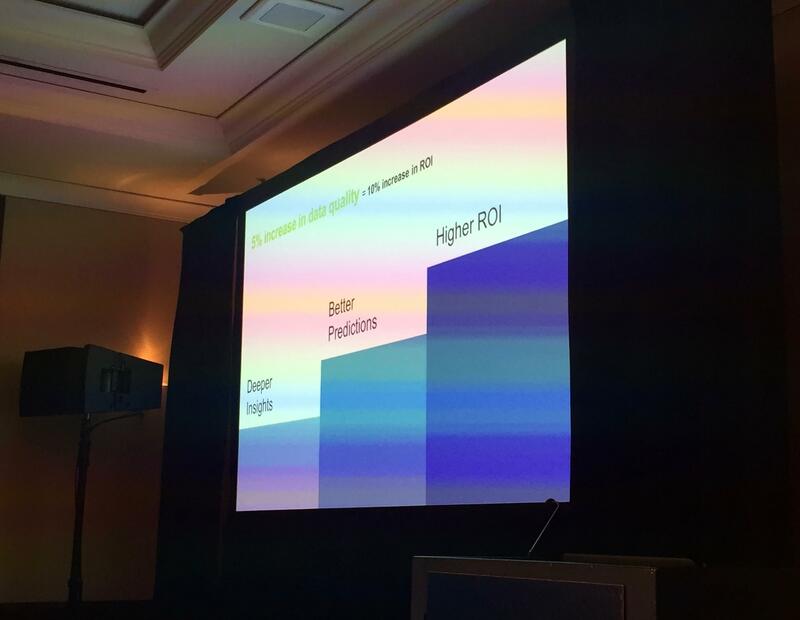 Most of the sessions at Dreamforce take an aspirational theme—like exploring predictive analytics to get more accurate or quality leads, or 10 segmentation ideas you haven’t thought of before. Darian’s discussion was refreshing, because it wasn’t about the shiny objects and tools. It was about the foundation of good data. All of the campaigns and tactics are only as good as your data. If the data is bad, nothing will work—and unfortunately, the time and resources your company spent will be a waste of energy. When you buy a tool, it can take months before you see revenue generation. If your data is in bad shape, it can take even longer. The house has to be in order. Everybody tries to scale through automation. Think of the efficiencies that could be gained by sales teams if they had a good data set to work with. 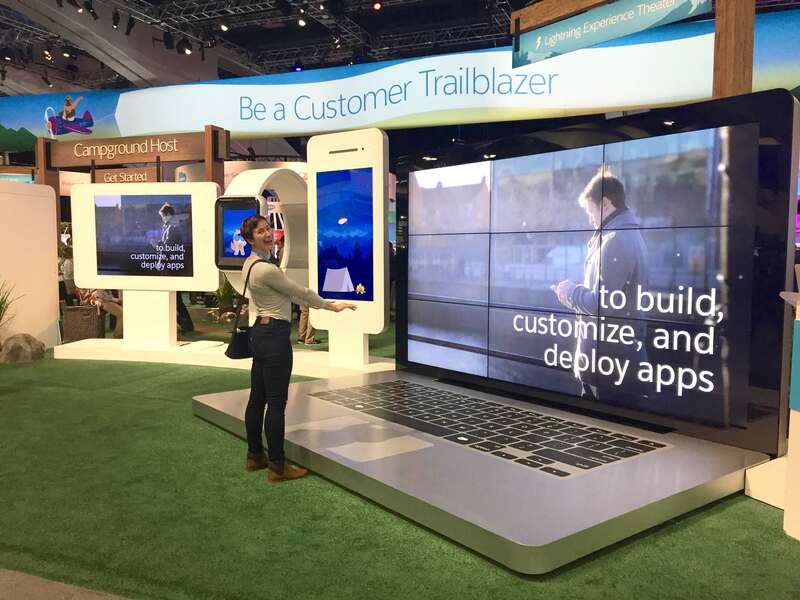 Thanks for joining us on our Dreamforce journey! Here are some videos if you missed it. Did you have any conference favorites? We’d love to hear about your experience!